BOWN - SWINDON, THIS IS SWINDON. J.R. Bown took over the existing aerated mineral water factory in Lagos Street, Swindon, when ﻿NIBLETT & CO ﻿vacated Swindon around 1910. 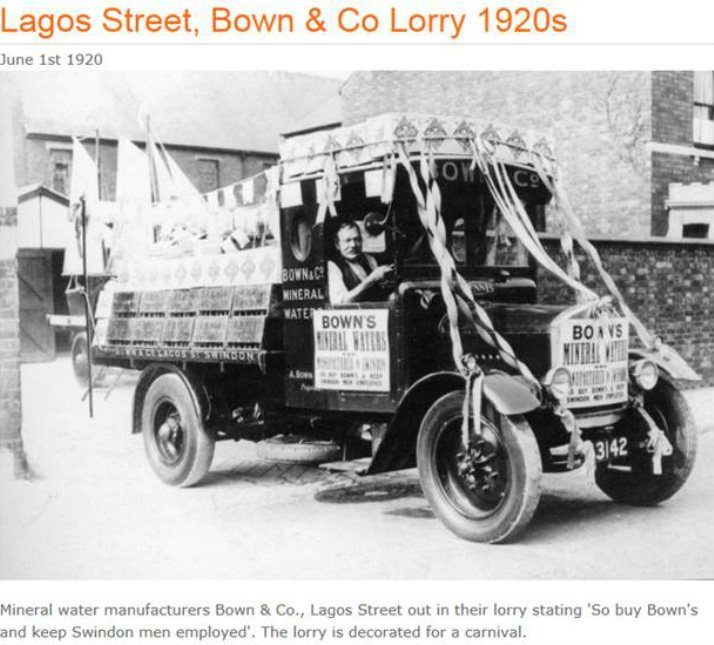 The company survived for the next 60 years and by 1970 had been absorbed into ﻿LEESE ING & CO﻿. The information above is taken from 'A history of Swindon & District Mineral Water Manufacturers' by Peter Sheldon. 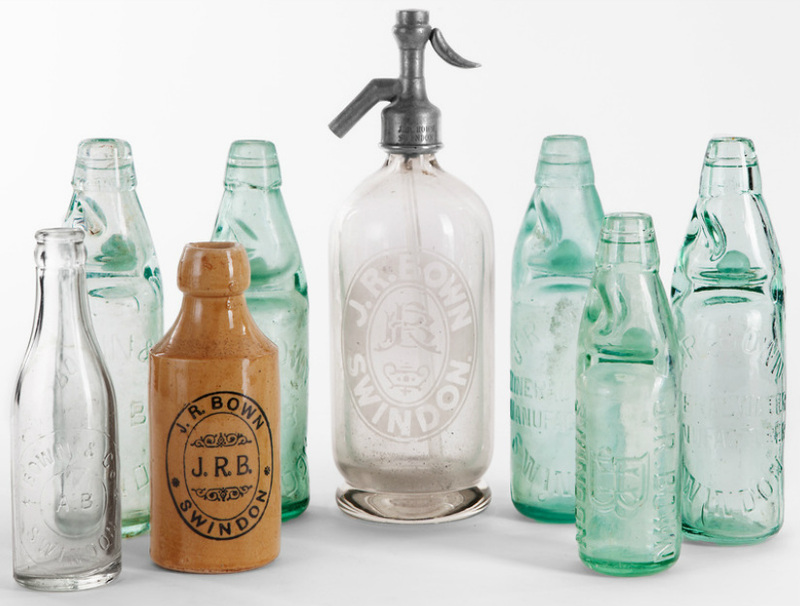 Joseph Russell Bown was born in Stratton in 1863. In 1881 he moved with his family to Swindon. He first lived at 60 Regent Street and by 1891 he was married to Martha and living at 154 William Street with their one year old son, Percy Osman Bown. 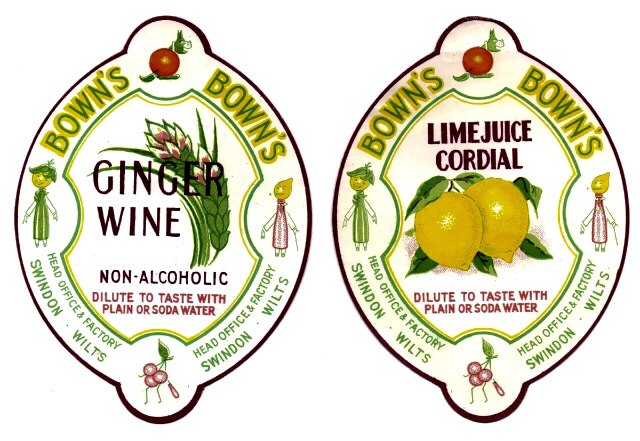 In 1911 the family were living at 29 Commercial Road, New Swindon and Joseph Russell Bown was listed for the first time as a mineral water manufacturer. 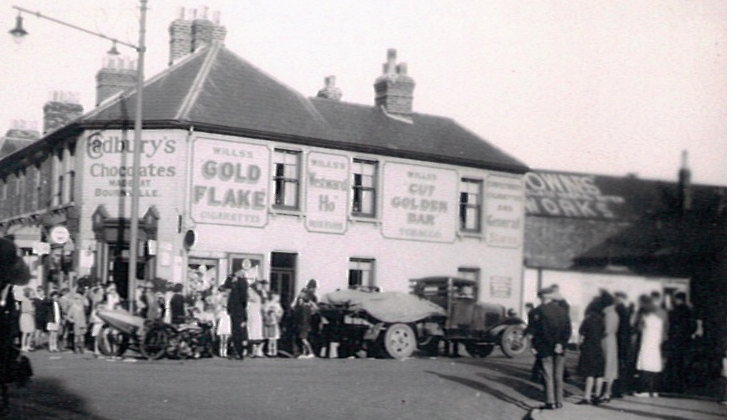 At this time a short lived business called TILLEY & BOWN was operating in Swindon. Tilley & Bown just pre-dates J.R.Bown and 'Tilley' was in fact Joseph Athelstane Sugden Tilley who was born in 1880. In 1911 he was lodging with J.R. Bown's brother but in 1913 emigrated to Canada. He served for Canada in WW1 and survived. Brick signage on the Bown Factory in Lagos Street, Swindon. J.R. Bown's only son, Percy Osman Bown, who in 1911 worked as a Staff Clerk at the GWR, was killed in WW1 on 23rd March 1918 in France. From about 1920 Alfred Bown, one of Joseph's brothers, becomes the sole proprietor and remains so until his death on 30th December 1939. Roughly 1940. Bown's on the roof on the right. The 1959 Kellys Directory lists the company as Bowns (Southern) Ltd.
16th November 1964 sees the company go into voluntary liquidation. 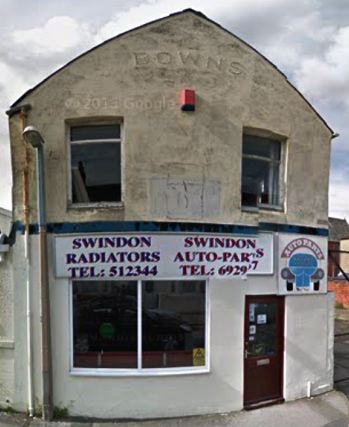 The name BOWNS could clearly be seen on the front of the old building but a fire in Feb 2013 gutted the building and the sign was lost for ever.